A gathering of the Colorado startup community to say goodbye to stigma. 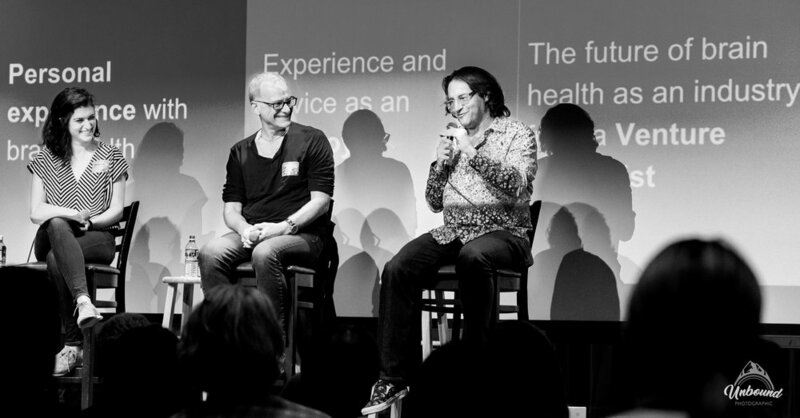 Join us for our biannual event that brings together tech employees living with brain conditions, companies making a difference in brain health, and community leaders who speak about what it means to live, work, and thrive, with a brain condition. Our members will report on the experiments they've been conducting to reduce the stigma of brain conditions. We will have speakers share their stories of living with a brain condition. And our panel Q & A will feature moguls in tech, healthcare and innovation and why they believe supporting individuals with neuro-diversity is essential for success in the workplace and our world. The Brain Crawl brings together the members of Open Labs, behavioral health tech companies, and behavioral health organizations, to share products, services, technologies and methodologies designed to improve the lives of people living with brain conditions. Crawl through our space and enjoy interactive experiences and conversations. Stay tuned for our next Alternative Hackathon and Open Weekend - tentatively scheduled for May 2019. The members of Open Labs turn ideas into action by forming ‘Experiment Groups’ to launch initiatives in the community. Each experiment group is made up of at least 3 Labs members and a group of aligned Community Partners. Together, these groups reduce stigma and create openness. Open Weekend includes a half day social event to solidify the bonds made over the Open Weekend. Despite 1 in 4 people experiencing a brain condition, for many people with a brain condition, this is the first time they have been in a room with others who are open about their condition. The social day reinforces the power of community.